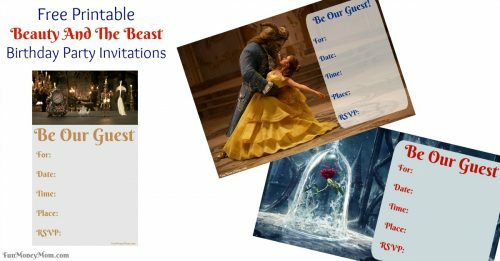 Throwing a Beauty And The Beast party? 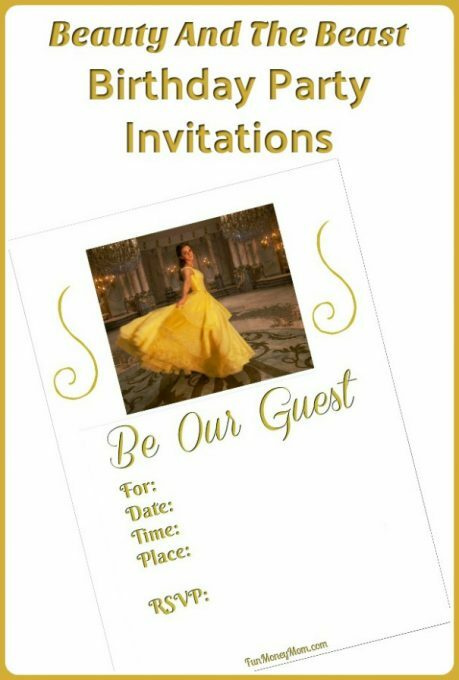 You’ll want pretty invitations and these free printable Beauty And The Beast birthday invitations make it easy. I’ve done all the work for you…just fill out the party info and start planning the fun! 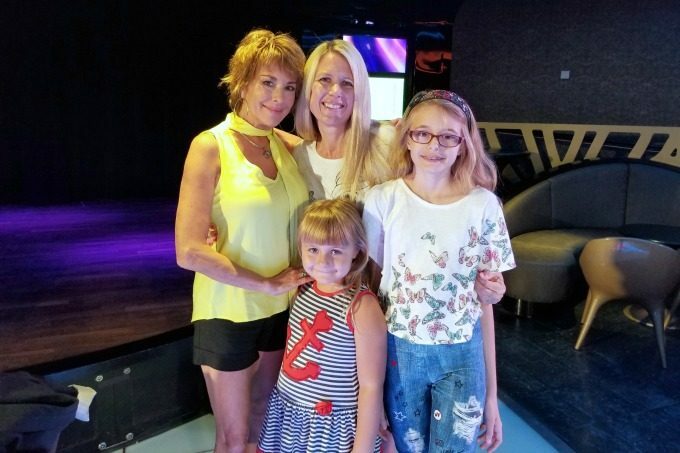 We love Beauty And The Beast and one of the highlights of 2017 was when we met Paige O’Hara, the original voice of Belle, on board the Disney Dream. I was even more excited than my girls since Beauty And The Beast has always been one of my favorite Disney movies. 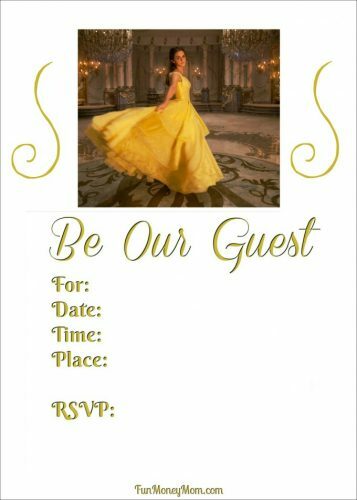 When the live action movie came out last year, I even made Beauty And The Beast invitations to go along with it. Keira was already planning her next birthday, even though it was 10 months out, and had told me that she wanted a Beauty And The Beast theme. I was totally on board since I always love an excuse to come up with new Disney princess ideas. Ten months later, she still wanted one (shocking, since she changes her mind on a daily basis). 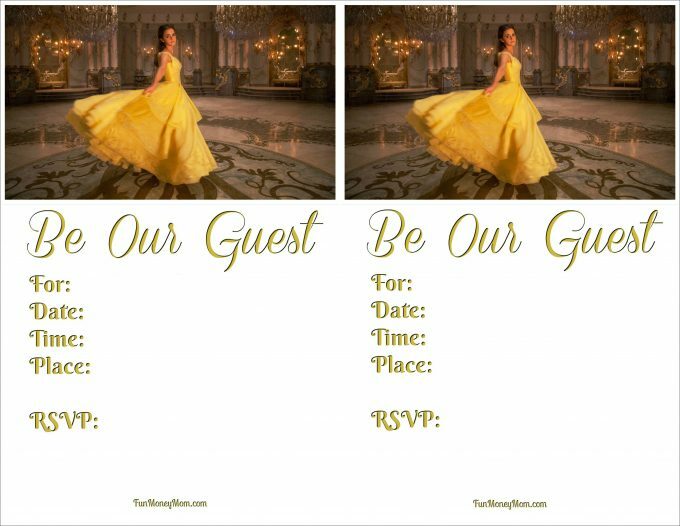 That was fine by me because I already had the Beauty And The Beast invitations ready to go (I was kind of on a roll after making a Moana invitation for the previous birthday). However, as much as I loved the invites, I needed a set for the whole class. Printing 20 of these would take a lot of ink. I decided to make an all new set of Belle invitations that would look just as good, if not better, but use less ink. 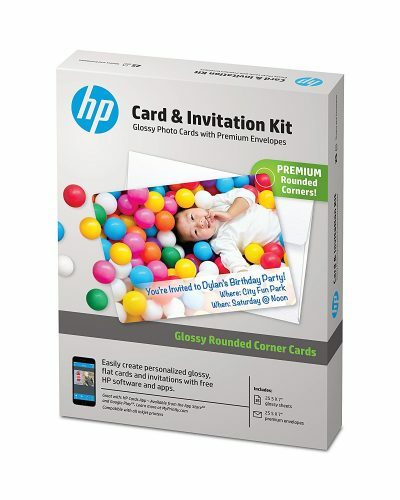 I’ve been using this HP Card & Invitation Kit for my invites and love the way they turn out! They’re really easy to use and the invites look so professional. If you want to fill in the info before you print, I recommend PicMonkey! It’s no longer free but there is a free trial that you can sign up for. If you’re not sure how to do that, I have an easy tutorial with step by step instructions on adding text to your card before you print. If you do that, you’ll want to print out the jpg version of these invitations (just below the pdf version). If you don’t want to edit online, just print the cards as is and use a gold marker or sharpie to fill out the party info. 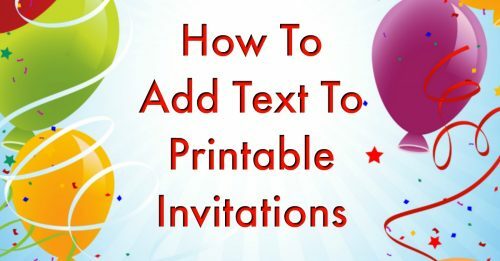 If you want to print the invites on card stock or regular paper, this 8 1/2 x 11 template is perfect and will give you two invitations per page. Don’t forget to check out my step by step tutorial if you want to add the text before you print. Keira loved her Belle invitations and had a blast at her Beauty And The Beast party! 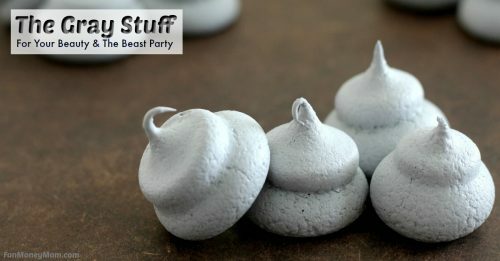 You can click below for a recipe for The Gray Stuff (it really IS delicious and disappeared fast!). Also, check back soon for Belle Thank You Notes and Beauty And The Beast goody bags.